The 19th International Symposium on Online Journalism (ISOJ) took place at the Texas University at Austin from April 13-14, 2018 ISOJ brought together diversity and multiples points of view by having speakers from around the globe to enlighten the attendees with their perspective on a plethora of topics. Several subjects were discussed during the ISOJ, such as ways to make journalism profitable, the relationship between journalism and communities, trends and emerging technologies applied to journalism, and the role of journalism in the fight for democracy. Before diving into the content of ISOJ, it is important to give credit to how the panels were structured and conducted. Each panel had a chair and presenter who spoke briefly on the panel’s subject and then invited and presented the four speakers of this particular panel. Each speaker had about twenty minutes to present their current work or investigation. After the last presentation, there was a moment where the chair conducted a conversation with all four speakers and they could discuss broader questions and issues on the panel’s topic or talk about the deeper questions of their work. To wrap the panel up the audience could ask questions and interact with them. This format made ISOJ dynamic, and at first, twenty minutes appeared not enough time for each speaker, but after seeing the whole panel, twenty minutes seemed perfect for keeping the panels dynamic. The first subject addressed concerned how digital journalism could find new revenue streams, and Jim Moroney, publisher and CEO of the Dallas Morning News, presented a keynote about newspapers in a post-advertising era. This panel discussed how advertising and digital advertising is no longer the main revenue stream for local newspapers, mostly because advertisers are now betting on Google, Facebook and Amazon to deliver ads to their customers, leaving no budget for local newspapers. Besides that, newspapers long believed that giving access to free content paid by digital advertising would be enough to pay their costs and make profits. However, we now know this business model is not sustainable, moving local newspapers from an advertising era to a reader-revenue era, where the revenue comes from subscriptions, services, and experiences offered to readers. Another keynote on this topic was given by Rob Wijnberg, editor-in-chief and found of De Correspondent from the Netherlands, about how the organization turns an ad-free newspaper profitable by approaching journalism beyond news and engaging readers. News, according to him, is a terrible product to sell because news is about exceptional and sensational events and not about what happens every day and what shapes society. De Correspondent, to cope with this problem, turned its readers into sources to contribute with insights the journalist could not generally access. That relationship also granted more trust between the information published in De Correspondent and its subscribers, leading it to sustainability. Furthermore, the debate about the relationship between journalism and audience moved from profit to trust. The matter of trust between community and journalism permeated all panels, but it was deepened by speakers like Cameron Hickey who presented the findings of the First Draft News project about how fast and by whom junk news is spread. The concept of junk news was adopted to include multiple content types that could be harmful to the community, such as fake news, hyper-partisan news, plagiarism, click-bait, and misleading news. According to him, junk news is not necessarily spread by hackers or some marketing team, but by common people who won`t check the facts before sharing it through social media, which raises the idea that community is also accountable for the propagation of misleading news. From trust to technological trends in journalism, much was talked about new, not so new, emergent technologies, and the growth of video usage by news organizations. And it was common ground for all speakers that all these technologies are not an end in itself.They must have a higher purpose than to show the audience news organizations are spending money on fancy new toys, they must help to better tell the stories the journalists are trying to tell their audience. For instance, speakers on the panel “Video: cracking the code for successful video online” had one thing in common: they all had different business models and production workflows, which highlights what Imaeyen Ibanga, senior video producer and manager of AJ+, said about video online: one size does not fit it all. Every news organization has to be honest about its goal and the audience it is trying to engage with video stories in order to stand out. Imaeyen Ibanga also pointed out that the current metrics to analyze the success of video online are engagement and minutes watched. Another panel discussed how newsletters made email the next big thing again, even though it is as old as the internet. According to Sara Fischer, media reporter at Axios, most mobile phones users come back to three kinds of apps: first is some kind of search mechanism, such Google, second some kind of social network, and third is email, which makes it a valuable channel to deliver news content. And forFernando Rodrigues, founder and editor of Brazilian site Poder360, the newsletter was the major tool he used to breakthrough, to differentiate his news organization from others. The business model of paid subscriptions helped to turn Poder360 profitable. Moreover, ISOJ promoted an important panel of “How news organizations are using satire online around the world” to discuss how political satire can be the last resort for disrupting power. There were speakers from around the globe who shared their experiences of using humor to expose their local problems and the consequences of such exposure, like the case presented by Samm Farai Monro, creative director of Magamba TV from Zimbabwe.To resist the Zimbabwe authoritarian regime, it decidedto criticize the Zimbabwe Broadcast Corporation, which is controlled by the government and the only TV station, but in return the city council tried to demolish their studio, the police tried to shut down their festival, and by the end of the last year their producer was arrested for conspiring to overthrow the government, and soon after they had all of their equipment confiscated from their office. Samm Farai Monro highlighted that in Zimbabwe, they do have freedom of expression, they just don`t have freedom after expression. Despite the difficulties, they are hoping to have the last laugh. The 19th International Symposium on Online Journalism showed how journalism is blurring and blending several media boundaries and how it is extrapolating the simple news standard by focusing on telling local and global stories and focusing on engaging readers in new and participatory ways. And one must not forget about the energy Mr. Rosental Alves, chair and founder of ISOJ, put into this event by making himself an attraction when speaking on the floor or during the breaks where he was very charismatic and paid attention to everybody who talked to him. After the experience at ISOJ 2018, it is understandable why most of all attendees keep coming back to ISOJ year after year. 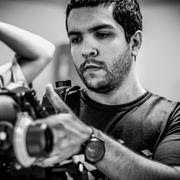 *Dorneles Neves, PhD candidate in Digital Media, UPorto, He is doing research to explore the relationship between media and teenagers from disadvantaged neighborhoods in Brazil, Portugal, and the USA.